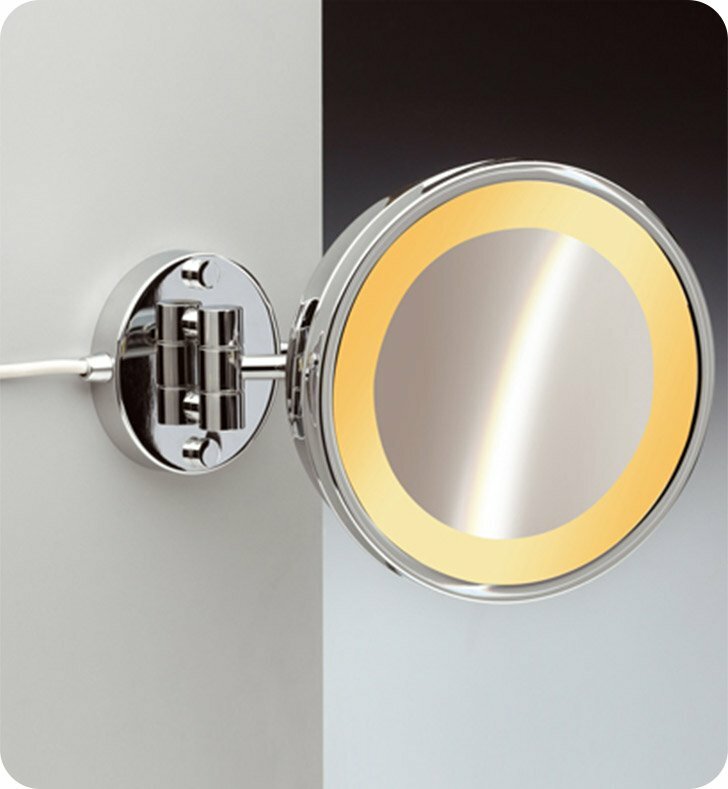 A luxurious wall hung magnifying mirror made in high quality brass and coated in chrome, gold or brushed nickel. This makeup mirror from the Windisch Incandescent Light Mirrors collection is a contemporary-style magnifying mirror. Made in and imported from Spain. Will compliment your high-end master bath.